News: PhD position available within a research project. Interested candidates are invited to send a CV by email to: ion.necoara@acse.pub.ro. Author of +100 research papers; +1800 citations and h-index 23 on Google Scholar. Published +80 ISI research papers; +500 citations and h-index 13 on Web of Science. Involved in several EU-FP7 projects: EMBOCON (principal investigator), HD-MPC (member), HYCON (member); National projects (Uefiscdi): METNET, MoCOBiDS, ScaleFreeNet (principal investigator). Head of Distributed Optimization and Control Group (DOC) (see website). Supervised 4 PhD students and several MSc & bachelor students. Invited professor to a number of universities including: MIT, Cornell Univ., Lehigh Univ., UNC (USA); Univ. Catholique Louvain and KU Leuven (Belgium); Edinburgh Univ. and Cambridge Univ. (UK); TU Delft (Netherlands); ETH Zurich and EPFL (Switzerland); Lund University (Sweden); SUPELEC (France); NTNU (Norway); IMT Lucca (Italy); OVGU (Germany); KAUST (Saudi Arabia). Member of IFAC Committee on Optimal Control and in IPC of various international conferences. National Order Faithful Service from Romanian Presidency, 2017. Fulbright Visiting Professor fellowship at UNC (USA), 2017. Excellence in Research award in Engineering Sciences, awarded by Ad Astra, 2016. Romanian Academy Award in Mathematical Sciences & Information Technology (Gr. Moisil), 2015. Best Paper Award for a paper published in Journal of Global Optimization in 2015. Best Paper Award at International Conference on Systems Theory, Control and Computing 2014. Awarded UEFISCDI Fellowship (Young Independent Research Team Fellowship, 2010-2013 & 2015-2017). University Fellowship (UPB, Excellence in Research Fellowship, 2010-2013). Theory and methods for Convex/Distributed/Big Data Optimization. Developing optimization algorithms with a focus on structure exploiting (sparsity, convexity, stochasticity, low-rank, parallel and distributed computations). Mathematical guarantees about performance of numerical optimization algorithms. Applying optimization techniques to Machine Learning problems and to develop new advanced Controller design algorithms for complex systems (Embedded and Distributed Control/MPC). Practical applications include: Big Data Models (Data Analytics, Machine Learning, Weather Forecasts, Smart Electricity Grids, Traffic Networks, Distributed Control, Compressive Sensing, Image/Signal processing), Embedded Control, Control of Robots, Automotive Industry. See attached some list of phd thesis proposals. I am always looking for talented and self-motivated phd students that want to perform research within the broad areas of Optimization, Big Data Analytics and Control. You will receive competitive benefits and work at international standards. We support visits to strong research groups from Europe, conference travels and interactions with the best researchers in the field. Students interested in doing some research/practical projects can also contact me. For anyone interested, here are some tips on how read a scientific paper (by Mitzenmacher) (pdf). drd. Dragos Clipici (2012-...): Distributed gradient methods over graphs. dr. Andrei Patrascu (2012-2015): Efficient first order methods for sparse convex optimization (phd thesis). Assist. 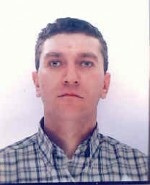 Professor at University Bucharest. dr. Valentin Nedelcu (2010-2013): Rate analysis of dual gradient methods (phd thesis). Research Scientist at Assystem. I. Necoara, Decomposition Methods for Large Scale Mathematical Optimization, in progress, 2017. I. Necoara, Model predictive control for hybrid systems: piecewise affine and max-plus-linear systems, VDM, 2008. I. Necoara, Faster randomized block Kaczmarz algorithms, March 2019, (arxiv). A. Nedich, I. Necoara, Random minibatch projection algorithms for convex problems with functional constraints, March 2019, (arxiv). I. Necoara, T. Ionescu, H2 model reduction of linear network systems by moment matching and optimization, February 2019, (arxiv). O. Fercoq, A. Alacaoglu, I. Necoara, V. Cevher, Almost surely constrained convex optimization, International Conference on Machine Learning (ICML), January 2019, (arxiv). I. Necoara, T. Ionescu, Optimal H2 moment matching-based model reduction for linear systems by (non)convex optimization, December 2018 (arxiv). I. Necoara, M. Takac, Randomized sketch descent methods for non-separable linearly constrained optimization, July 2018 (arxiv). T. Sun, I. Necoara, Q. Tran-Dinh, Composite Convex Optimization with Global and Local Inexact Oracles, July 2018 (arxiv). I. Necoara, P. Richtarik, A. Patrascu, Randomized projection methods for convex feasibility problems: conditioning and convergence rates, March 2017 (arxiv). A. Patrascu, I. Necoara, Nonasymptotic convergence of stochastic proximal point algorithms for constrained convex optimization, Journal of Machine Learning Research, 18(198): 1−42, 2018. (pdf). A. Patrascu, I. Necoara, On the convergence of inexact projection first order methods for convex minimization , IEEE Transactions on Automatic Control, 63(10): 3317--3329, 2018. (pdf). I. Necoara, Nonasymptotic convergence rates of stochastic first order methods for composite convex optimization, Technical Report, University Politehnica Bucharest, June 2017. (pdf). I. Necoara, Coordinate gradient descent methods, chapter in book: Big Data and Computational Intelligence in Networking, Y. Wu et al. (Eds. ), Taylor & Francis LLC - CRC Press, 2017 (pdf). I. Necoara, Yu. Nesterov, F. Glineur, Random block coordinate descent methods for linearly constrained optimization over networks, Journal of Optimization Theory and Applications, 173(1): 227--254, 2017, (pdf) or (pdf arxiv). A. Patrascu, I. Necoara, Q. Tran-Dinh, Adaptive inexact fast augmented Lagrangian methods for constrained convex optimization , Optimization Letters, 11(3): 609–-626, 2017, (pdf arxiv). N.A. Nguyen, S. Olaru, P. Rodriguez-Ayerbe, M. Hovd, I. Necoara, Constructive solution of inverse parametric linear/quadratic programming problems, Journal of Optimization Theory and Applications, 172(2): 623–648, 2017 (pdf). I. Necoara, D. Clipici, Parallel random coordinate descent methods for composite minimization: convergence analysis and error bounds, SIAM Journal on Optimization, 26(1): 197-226, 2016 (pdf arxiv). I. Necoara, A. Patrascu, Iteration complexity analysis of dual first order methods for conic convex programming, Optimization Methods and Software, 31(3):645-678, 2016, (pdf arxiv). Q. Tran Dinh, I. Necoara, M. Diehl, Fast Inexact Decomposition Algorithms For Large-Scale Separable Convex Optimization, Optimization, 65(2): 325–356, 2016, (pdf arxiv). I. Necoara, Yu. Nesterov, F. Glineur, Linear convergence of first order methods for non-strongly convex optimization, Mathematical Programming, 2018, (updated version here: pdf), (or on arxiv). I. Necoara, A. Patrascu, F. Glineur, Complexity certifications of first order inexact Lagrangian and penalty methods for conic convex programming, Optimization Methods and Software, 2015, (arxiv). I. Necoara, A. Patrascu, A. Nedich, Complexity certifications of first order inexact Lagrangian methods for general convex programming, chapter in Developments in Model-Based Optimization and Control, Springer, 2015, (arxiv). A. Patrascu, I. Necoara, Random coordinate descent methods for l0 regularized convex optimization, IEEE Transactions on Automatic Control, 60(7):1811–-1824, 2015, (arxiv). A. Patrascu, I. Necoara, Efficient random coordinate descent algorithms for large-scale structured nonconvex optimization, Journal of Global Optimization, 61(1):19--46, 2015 (received Best Paper Award for a paper published in Journal of Global Optimization in 2015), (arxiv). I. Necoara, V. Nedelcu, On linear convergence of a distributed dual gradient algorithm for linearly constrained separable convex problems, Automatica J., 55(5):209–-216, 2015, (arxiv). I. Necoara, L. Ferranti, T. Keviczky, An adaptive constraint tightening approach to linear MPC based on approximation algorithms for optimization, Optimal Control Appl. & Met., 36(5):648–-666, 2015, (pdf). I. Necoara, Computational complexity certification for dual gradient method: application to embedded MPC, Systems and Control Letters, 81(7):49–56, 2015 (pdf). I. Necoara, A. Patrascu, DuQuad: an inexact (augmented) dual first order algorithm for quadratic programming, Tech. Rep., UPB, 2015, (arxiv). I. Necoara, V. Nedelcu, Rate analysis of inexact dual first order methods: application to dual decomposition, IEEE Transactions on Automatic Control, 59(5): 1232 - 1243, 2014, (arxiv). I. Necoara, A. Patrascu, A random coordinate descent algorithm for optimization problems with composite objective function and linear coupled constraints, Computational Optim. & Applications, 57(2): 307-337, 2014, (arxiv). Q. Tran Dinh, I. Necoara, M. Diehl, Path-Following Gradient-Based Decomposition Algorithms For Separable Convex Optimization, Journal of Global Optimization, 59(1): 59-80, 2014, (arxiv). V. Nedelcu, I. Necoara, Q. Tran Dinh, Computational Complexity of Inexact Gradient Augmented Lagrangian Methods: Application to Constrained MPC, SIAM J. Control and Optimization, 52(5): 3109-3134, 2014, (pdf). I. Necoara, Yu. Nesterov, F. Glineur, A random coordinate descent method on large-scale optimization problems with linear constraints, Tech. rep, UPB, 2011 (ICCOPT 2013, Lisbon), (pdf). I. Necoara, Random coordinate descent algorithms for multi-agent convex optimization over networks, IEEE Transactions on Automatic Control, 58(8): 2001-2012, 2013, (pdf). Q. Tran Dinh, I. Necoara, C. Savorgnan, M. Diehl, An inexact Perturbed Path-Following Method for Lagrangian Decomposition in Large-Scale Separable Convex Optimization, SIAM J. Optimization, 23(1): 95-125, 2013, (pdf). I. Necoara, D. Clipici, Efficient parallel coordinate descent algorithm for convex optimization problems with separable constraints: application to distributed MPC, Journal of Process Control, 23(3): 243--253, 2013, (pdf). I. Necoara, V. Nedelcu, Distributed dual gradient methods and error bound conditions, Tech. rep., 2013, (pdf). I. Necoara, V. Nedelcu, I. Dumitrache, Parallel and distributed optimization methods for estimation and control in networks, Journal of Process Control, 21(5): 756 – 766, 2011, (pdf). P. Tsiaflakis, I. Necoara, J.A.K. Suykens, M. Moonen, Improved dual decomposition based optimization for DSL dynamic spectrum management, IEEE Trans. Signal Processing, 58(4): 2230--2245, 2010. I. Necoara, J. Suykens, An interior-point Lagrangian decomposition method for separable convex optimization, Journal of Optimization Theory and Applications, 143(3): 567–588, 2009, (pdf). I. Necoara, J. Suykens, Application of a smoothing technique to decomposition in convex optimization, IEEE Transactions on Automatic Control, 53(11): 2674--2679, 2008, (pdf). M. Baes, M. Diehl, I. Necoara, Every nonlinear control system can be obtained by parametric convex programming, IEEE Transactions on Automatic Control, 53(8): 1963--1967, 2008. 6. UEFISCDI, PCE: ScaleFreeNet (Scale-free modeling and optimization techniques for control of complex networks), 2017-2019, see website for this ongoing project. 5. UEFISCDI, Human Resources: MoCOBiDS (Modelling, Control and Optimization for Big Data Systems), 2015-2017. 4. WBI Belgium-Romanian Academy: Programme de cooperation scientifique entre L’Academie roumaine, WBI et le FRS/FNRS, 2016-2018. 3. EU, FP7, ICT-STREP: EMBOCON (Embedded Optimization for Resource Constrained Platforms), 2010 - 2013. 2. ANCS, PNII: EMBOCON (Embedded Optimization for Resource Constrained Platforms), 2010-2012. 1. UEFISCDI, Human Resources: METNET (Mathematical Tools for Network Systems), 2010-2013. 8. ICSTCC 2018- International Conference on System Theory, Control and Computing, Sinaia, October 2018, Optimization in control: recent advances and challenges. 7. EMBOPT 2014 - Workshop on embedded optimization, Lucca, September 2014, Iteration complexity analysis of dual first order methods, (pdf). 6. HYCON2 Workshop on Distributed Optimization in Large Networks and its Applications, Zurich, July 2013, Coordinate descent methods for huge scale problems, (pdf). 5. IMT Lucca, 2013, Rate analysis of inexact dual gradient methods: application to embedded and distributed MPC, (pdf). 4. ACSE - Univ. Politehnica Bucharest, December 2012, Decomposition methods for large-scale convex problems: applications in engineering, (pdf). 3. ETH Zurich, Oct. 2010, Distributed optimization methods for estimation and control in networks, (pdf). 2. Lund University, May 2010, Smoothing Techniques for Distributed Control over Networks, (pdf). 1. Supelec, ETH Zurich, 2008, Robust control of a class of hybrid systems, (pdf). Abstract: ScaleFreeNet program will develop a theoretical modeling- and optimization-based framework to build on scale-free algorithms tailored for distributed model predictive control (MPC) of complex networks. This will set the foundations for a new optimal control theory dealing with complex physical networks with arbitrary size, which represent the next frontier in systems and control. Thus, ScaleFreeNet will make significant advances in the state of the art of decision-making for complex network systems by addressing several central points on how the current approach to modeling, optimization and control of networks must change in order to adapt to the large-scale challenges: (i) Scale-free modeling algorithms for complex networks using specific features and the concept of aggregation; (ii) Scale-free optimization algorithms tailored for control of large networks using methods featuring nearly dimension-independent convergence and techniques for obtaining near-linear cost per iteration; (iii) Scalable distributed MPC schemes for networks using scale-free modeling/optimization algorithms; (iv) Benchmark and software packages. Prof. Ion Necoara, Assoc. Prof. Lucian Toma, Assoc. Prof. Tudor Ionescu, Dr. Andrei Patrascu, Dr. Valentin Nedelcu, PhD Lavinius Gliga, MS. Daniela Lupu. [J11] I. Necoara, Random projection algorithms with extrapolation for convex feasibility problems, April 2019. [J10] I. Necoara, Faster randomized block Kaczmarz algorithms, submitted, March 2019. [J9] A. Nedich, I. Necoara, Random minibatch projection algorithms for convex problems with functional constraints, submitted, March 2019. [J8] I. Necoara, T. Ionescu, H2 model reduction of linear network systems by moment matching and optimization, submitted, February 2019. [J7] I. Necoara, T. Ionescu, Optimal H2 moment matching-based model reduction for linear systems by (non)convex optimization, submitted, December 2018. [J6] I. Necoara, M. Takac, Randomized sketch descent methods for non-separable linearly constrained optimization, submitted, September 2018. [J5] T. Sun, I. Necoara, Q. Tran-Dinh, Composite Convex Optimization with Global and Local Inexact Oracles, submitted, July 2018. [J4] I. Necoara, P. Richtarik, A. Patrascu, Randomized projection methods for convex feasibility problems, provisionally accepted in Siam Journal on Optimization, January 2018. [J3] A. Patrascu, I. Necoara, Nonasymptotic convergence of stochastic proximal point methods for constrained convex optimization, Journal of Machine Learning Research, 18(198): 1−42, 2018. [J2] I. Necoara, Yu. Nesterov and F. Glineur, Linear convergence of first order methods for nonstrongly convex optimization, Mathematical Programming, DOI: 10.1007/s10107-018-1232-1, 2018. [J1] A. Patrascu, I. Necoara, On the convergence of inexact projection first order methods for convex minimization, IEEE Transactions on Automatic Control, 63(10): 3317--3329, 2018. [P4]: I. Necoara, L. Toma, Efficient optimization methods for optimal power flow problems in meshed power networks, in preparation, 2018. [P3] T. Ionescu, O. Iftime, Model order reduction of delay systems: a case study of FIR systems, in preparation, 2018. [P2] I. Necoara, A. Patrascu, D. Lupu, DuQuad: a dual first order algorithm for quadratic programming, in preparation, 2018. [P1] I. Necoara, A. Patrascu, Iteration complexity analysis of coordinate descent methods for l0 regularized convex problems, in preparation, 2018. [C9] A. Radu, M. Eremia, L. Toma, Optimal charging coordination of electric vehicles considering distributed energy resources, IEEE PES PowerTech Conference 2019. [C8] D. Sidea, L. Toma, M. Sanduleac, I. Picioroaga, V. Boicea, Optimal BESS Scheduling Strategy in Microgrids Based on Genetic Algorithms, IEEE PES PowerTech Conference 2019. [C7] O. Fercoq, A. Alacaoglu, I. Necoara, V. Cevher, Almost surely constrained convex optimization, International Conference on Machine Learning (ICML), 2019. [C6] I. Necoara, Random gradient algorithms for convex minimization over intersection of simple sets, European Control Conference 2019. [C5] I. Necoara, T. Ionescu, Parameter selection for best H2 moment matching-based model approximation through gradient optimization, European Control Conference 2019. [C4] T. Ionescu, O. Iftime, Q.-C. Zhong, Model reduction by moment matching: case study of a FIR system, European Control Conference 2019. [C3] D. Lupu, I. Necoara, Primal and dual first order methods for SVM: applications to driver fatigue monitoring, International Conference on System Theory, Control and Computing, 2018. [C2] I. Necoara, M. Takac, Random coordinate descent methods for linearly constrained convex optimization, International Symposium Mathematical Programming, 2018. [C1] I. Necoara, A. Patrascu, OR-SAGA: Over-relaxed stochastic average gradient mapping algorithms for finite sum minimization, European Control Conference 2018.